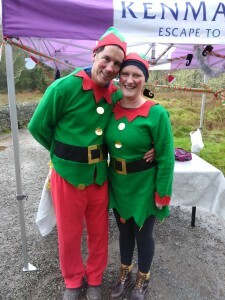 would like to thank everyone for the fantastic support for their fundraiser which took place on the day before Christmas Eve, when the children of Kenmare took part in an elf hunt. There was a great turn out and loads of fun had by everyone, and with plenty of prizes to go around all the children enjoyed the elf quiz, snowball fight, face painting and hot chocolate. The prizes didn’t stop there as the club also held a Christmas bauble draw, with winners including Andrew Rees, who won the grand prize of €150 sponsored by The Sailors Bar, Tina West won lunch in Mick and Jimmy’s, there was a family package for Star Outdoors for Finn McCloskey, and a further Star Outdoors package for Chris Thomas. Congratulations to all the winners and thank you to everyone who entered. The club hope to get training in sailing courses for the members, and some of the junior members of the club have started their sailing levels and the fundraiser will help to subsidise more training. We hope to have a school team in the future so if your teenager is interested in trying it out please call Tom on 083 1884330.